This Heavy Duty Hitch bolts to any draw bar that has 2" on center holes. It stops your draw bar from rotating and gives you a 2" receiver to insert your ball mounts. Plus it is John Deere IMatch compatible (If your draw bar is 1" thick) which means it fits most other Quick Hitch brands as well. 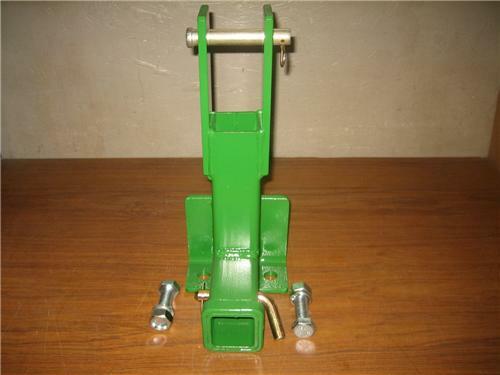 We provide all pins and bolts to attach to your tractor and secure your inserts. This one is painted John Deere Green but we have other colors available.